The empty cartridge for the liquid that is compatible with the Mild X1 /X6 / X7 Tank atomizer. .. 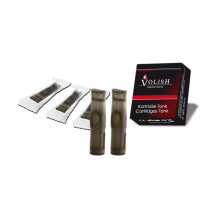 The empty cartridge for the liquid that is compatible with the Volish Tank atomizer. The cart..
© 2019 e-cig time - All Rights Reserved.